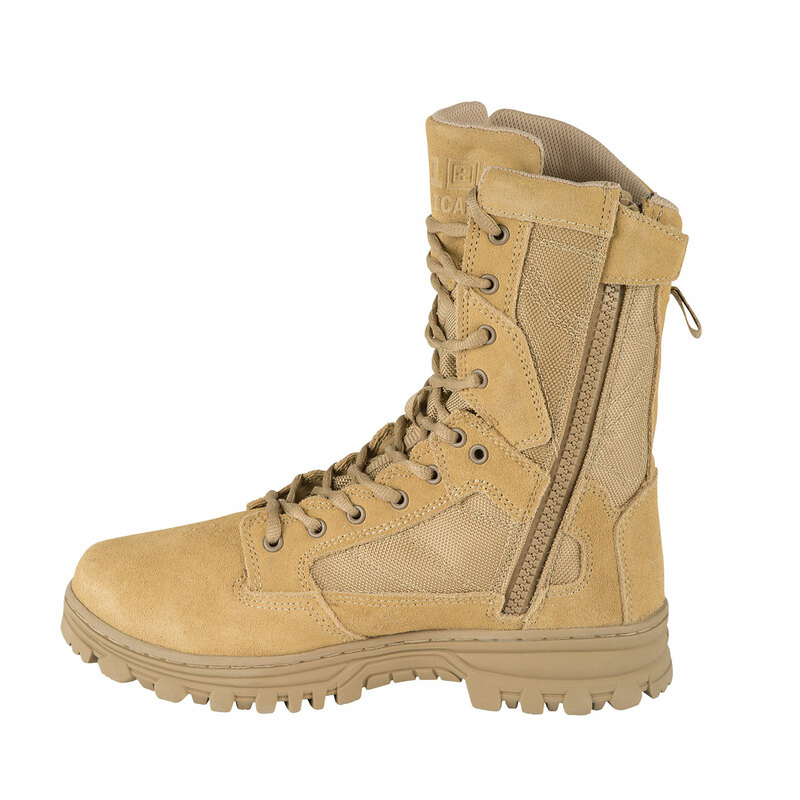 The next evolution in tactical footwear. 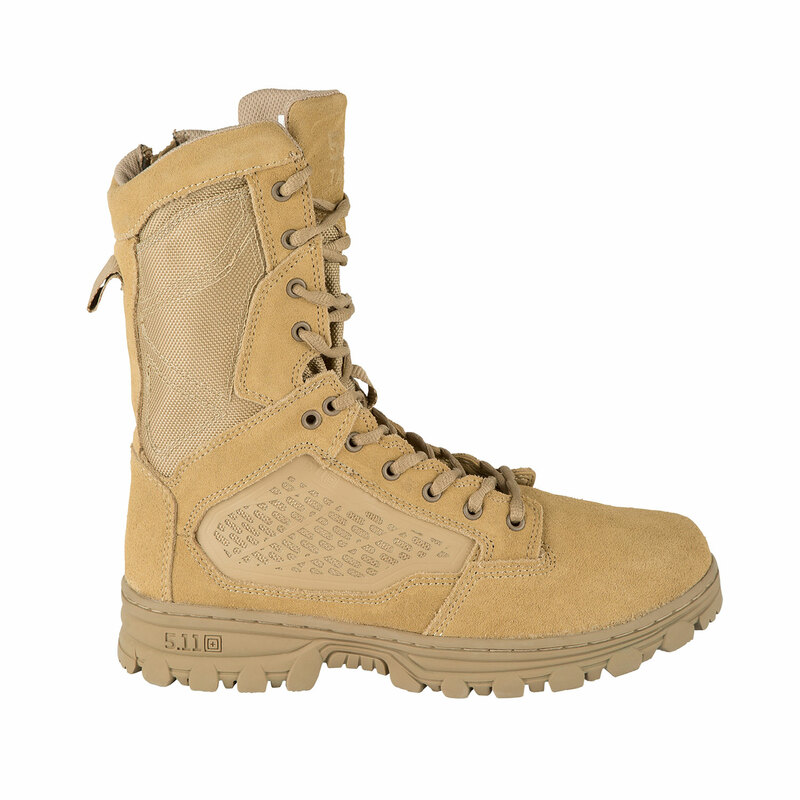 5.11’s EVO boots excel in velocity and versatility, while providing stability and lightweight performance. 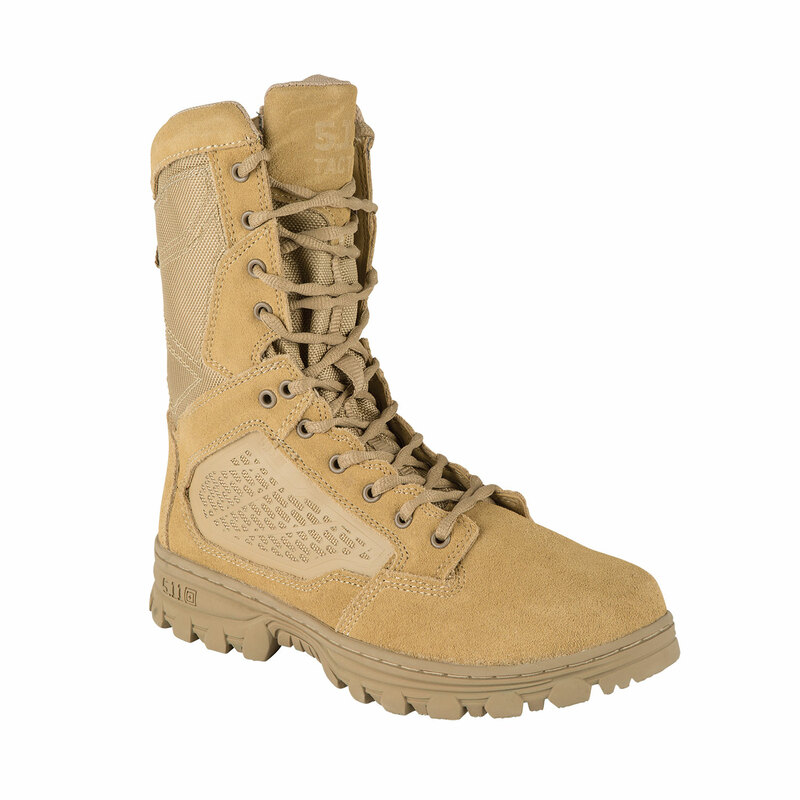 EVO boots offer stability and performance in a lightweight profile. 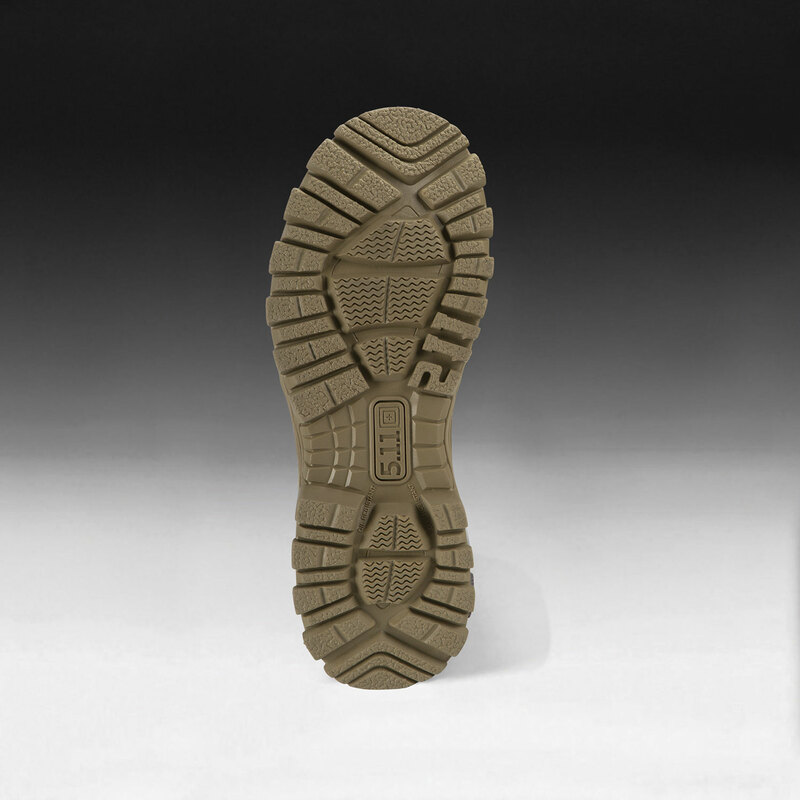 Features a 14mm heel to toe drop for a responsive feel and more natural stance. Cemented and fully stitched for durability and has a full length EVA midsole and nylon shank for long wearing stability and comfort. Inside is a dynamic cushioning system, and a nylon shank to provide torsional rigidity and completes the system for all day comfort and support.